Yay, the weekend is almost upon us! I have some major plans this weekend, and I am giddy to get moving on them. I will be busy at work this weekend in the garage building something fantastical, a new piece of furniture that I will be revealing soon. I am beyond excited to get this project underway and am like a very impatient child on Christmas eve right now, does that make me weird? I am such a home decor nerd, but I love this stuff! Today is one of my favorite days on this blog because it is all about Home inspiration week 6, furniture redo’s and because I have furniture on the brain (for my mysterious but awesome upcoming project) I am sharing some furniture inspiration with you all. The internet can be a big and crazy entity, where so much content is being shared all of the time. We also all live crazy busy lives, which means we miss out on great ideas shared online. If you are into home decorating and blogs, which I know you are because you are here right now, then this is all for you. I asked some of my blogging friends to let me share some of their furniture transformations, and they delivered! I can only share so much of my own content, but sharing others talents entertain you lovely people some more. Hopefully you also discover a few new blogs to read! First to kick things off is me, this is my blog so I can go first. Yes, that was said in a similar fashion to a child sticking their tongue out. 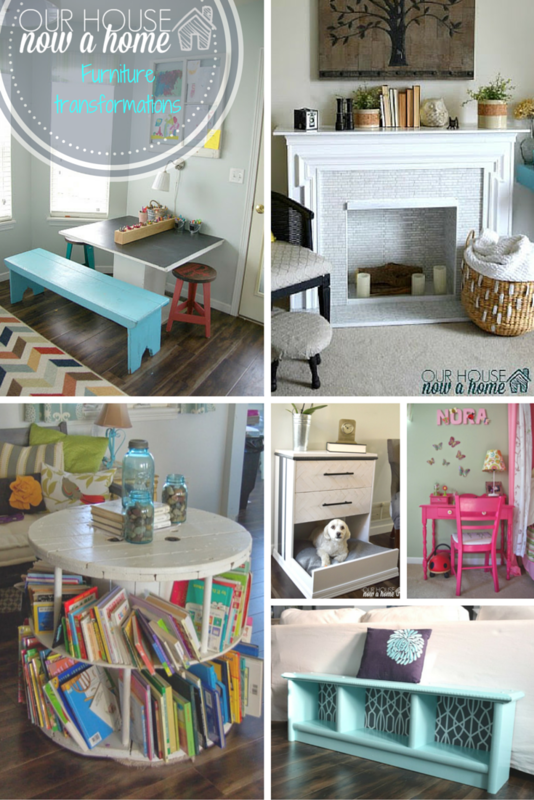 I shared a little bit ago 13 of my favorite furniture transformations on this blog. I love to redo furniture, it gives me unique pieces in my home and saves me a ton of money! Furniture is one of those big ticket items that can get crazy expensive. I have redone some furniture items and have gotten to decorate my home with custom stuff. It makes my home look so fancy! To kick things off in this round-up I am sharing this amazingly rustic chair upcycle from Uncookie cutter. The before of this is amazing, and honestly it was a scary situation to begin with. But, what April did with it is stunning! She has such talent with rustic decor and using wood beautifully in her home! This vanity redo from Elizabeth Joan designs is so pretty! I feel like painting furniture white gets a bad rap. I have heard many people say it is boring. I beg to differ and this vanity that Erin redid is proof of that. I think painting furniture white makes it feel fresh, clean and modern. This is a classic vanity but is feels so updates with the white color. Also the contrast of the dark handles is making my decorating loving heart go crazy! Little details like that make a furniture piece. This redo from Meghan at The Twin is so pretty! The really cool thing about this post that she sahred is she gives really easy and concise steps to paint furniture. Helping any person become a pro furniture painter. I love the style, projects and home decor shared here, I am always falling in love with her ideas! Working with wicker can be difficult and has been a DIY fail for me in the past. 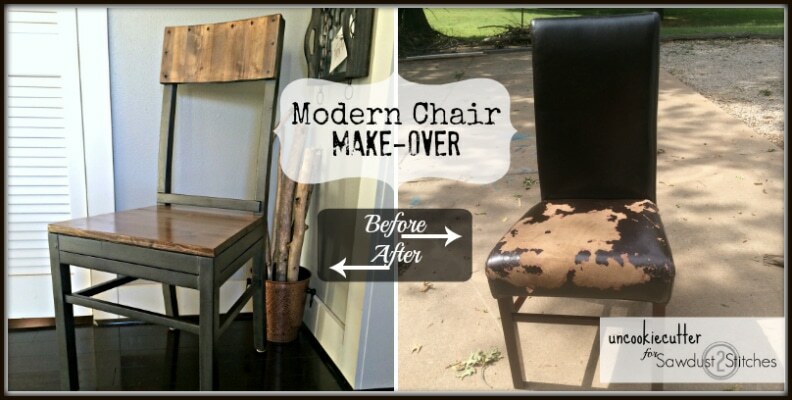 Sarah from Flourish and Knot has some really great tips and techniques shared when she redid this rocking chair. I love this little chair and want to go hang out on her porch sitting in this chair. We can girl talk about painting techniques all day long! Her blog is amazing and she shares so many DIY home projects and ideas! First of all, this furniture redo from Craving some creativity has two of my favorite things in it; the color gray, and it has a great before and after! Rachel upcycled this desk for her One room challenge and she just shared the stunning reveal of it all! 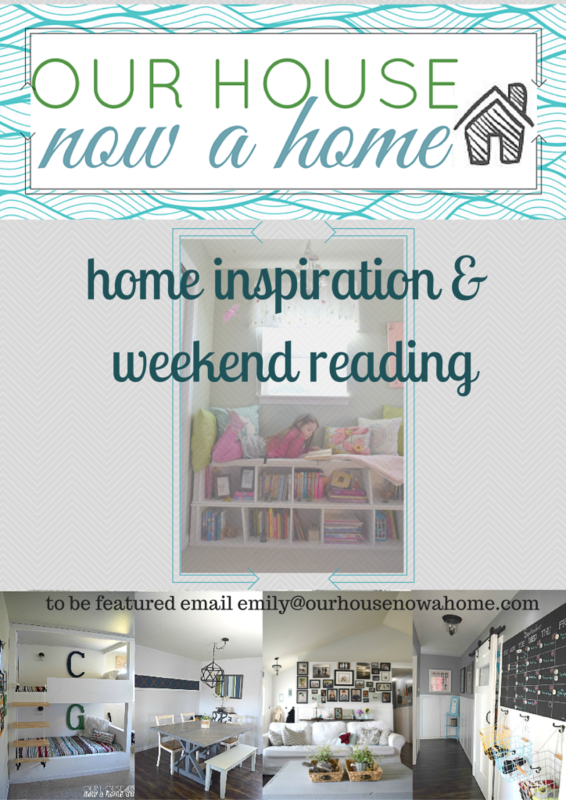 I have legit home envy when I look at her home, go ahead… get lost in her blog for a minute…. I will wait :). I love this table redo from Roxanne at The Honeycomb home, it is so simple but so perfect! I love little tables like this and have one very similar in my entryway. I love the tiny details that she added to this, making it pop just a little more. I always fall in love with Roxanne’s design ideas and she has soooo many amazing projects she has done. This is such a stunning and creative cabinet redo from Nicole at Q-Schmitz. The color of this is something I would not have thought to do but it is so perfect for this! So bright and bold, also the side details that she added to this are pretty amazing! She has some creative ideas that she shares on the blog and I am loving all of the creativity! OK, this is another stunning furniture redo with bold colors. I know I mentioned I like the simplicity of white, but colors like this get me too. I love that this small and simple table is turned into so much more. Meg from Green with Decor redid this perfectly. I think with a small furniture piece like this keeping things simple is best. I love the bold color of this so much and now want to put more green in my home. 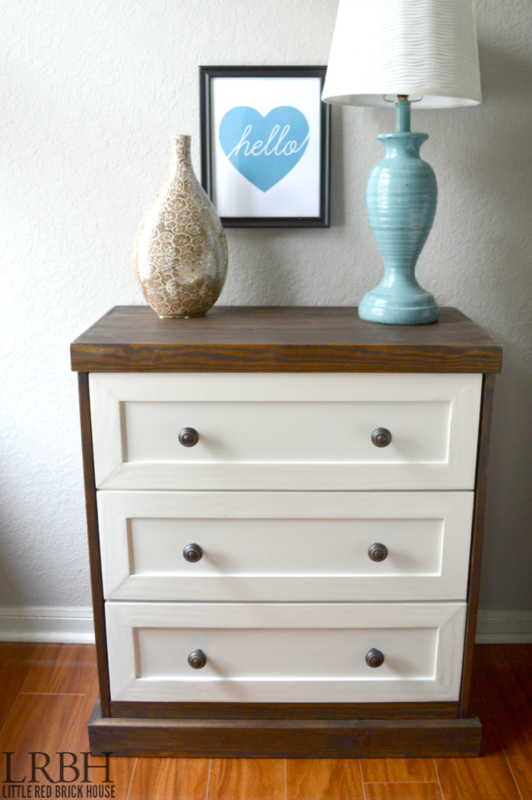 I love this dresser redo from Sarah at Little red brick house sooooo much! The details she added to this are amazing and look so natural to the dresser. If you are not familiar with what a Ikea Rast dresser looks like go and see for yourself. They are plain, boring and so simple. What she did to this is proof of her talent. I love the addition of the wood casing and those drawer details look great too. It is difficult to add that kind of detail to drawer fronts, so I bow to the talent that is Sarah on this one! Her blog was one of the first that I read when I started blogging and I always love what she shares. Oh guys, furniture redo’s give me all kinds of ideas. I go into a haze of wanting to buy a bunch of new furniture from secondhand stores and get to work redoing them all. Let’s just forget about my long to-do list and current hoarding situation of furniture waiting to be redone in my basement, I need more! 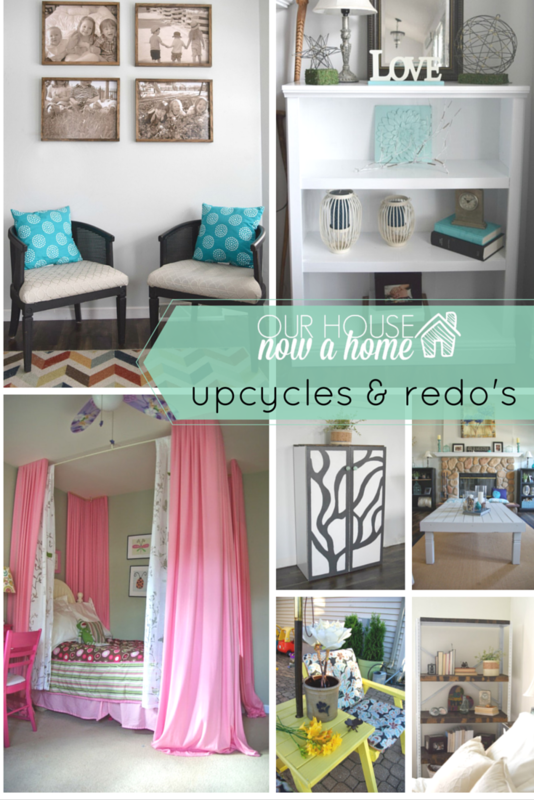 How did you like the Home inspiration week 6, furniture redo’s? I really hope you go to the talented ladies blogs and discover some more reading to do this weekend. I am off to do some prep work for my as-yet-to-be-announced project, but it involves furniture, DIY, power tools and a big time reveal when all is said and done. I just have to get to work on it all now! What do you have going on this weekend? Any DIY projects you are working on? Thanks so much for sharing my chairs Emily! This is a great roundup! 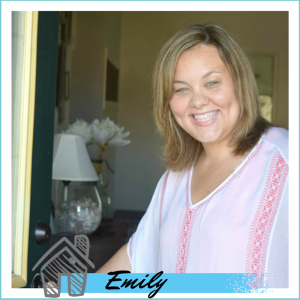 Amazing Round Up, Emily! Thanks for sharing my Vanity Redo. Now I’m off to check out some of the other amazing makeovers! Wow, so many great projects – I’m totally inspired! Thanks for including my table makeover! Have a great weekend! So many amazing projects! It’s so great when old furniture gets a new life and doesn’t end up in a landfill. That bookshelf of yours is genius! Thanks for featuring the bathroom vanity 🙂 I’m really liking that gray antique dresser too!